This chapter focuses on the IPCC, its structure and its efforts to communicate the AR5 reports. 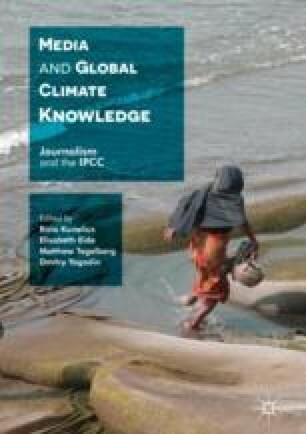 It discusses challenges to IPCC science communication such as the balance between being policy relevant and policy prescriptive, and how to communicate to a larger public. It draws on science communication theories as well as interviews with several IPCC scientists mainly conducted during the UNESCO scientific conference “Our Common Future” in Paris, July 2015.